A journal reflect the personality of an individual and the ideals he believes in. 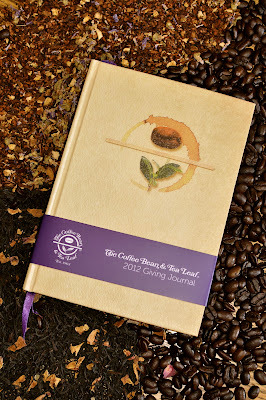 This giving season, The Coffee Bean & Tea Leaf’s has 2012 Giving Journal campaign. It is a celebration of a giving effort that has changed the lives of many Filipinos. How does it Changed the life of Filipinos? The Coffee Bean & Tea Leaf continuous to create opportunities for customers to share their blessings and to celebrate the joy of doing so with others. 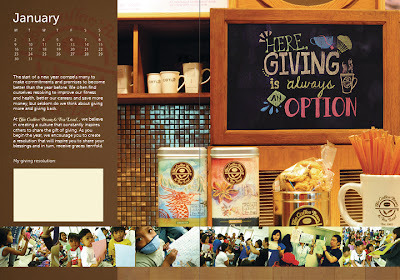 Giving everyone a different reason to Give in to Giving throughout the year, each month of the Giving Journal is dedicated to sharing the stories of different organizations and customers’ experiences. Practical, useful and exceptionally handy, The Coffee Bean & Tea Leaf’s Giving Journal is filled with spacious pages that are ideal for taking down every important event that will happen in the next year. Chu said that last year they were able to send eight scholars to college. This year, they are hoping and the goal is to beat this number and give education to more scholars. 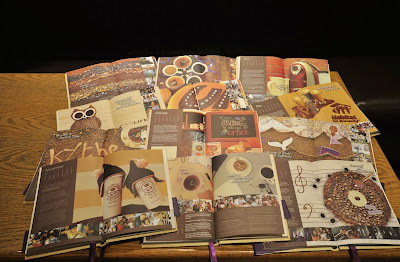 This entry was posted in Campaigns and tagged Give Joy with 2012 Giving Journal Campaign by The Coffee Bean & Tea Leaf. Bookmark the permalink.